Writing this in 30 Degrees of heat it is difficult to remember that we had to cancel our March lecture due to the snow! Following the unavoidable cancellation by our planned speaker we are delighted to advise that Andrew has stepped in to give us the missing March talk. THIS EVENING ANDREW KING RETURNS TO TALK ABOUT A TIME OF JOHN HARRRISON’S LIFE THAT HAS NEVER BEEN CONSIDERED BEFORE…. Much of the life of John Harrison has been written and spoken about as well as broadcast in full feature film and documentaries. However, all this has centred around Harrison’s quest to contribute to the “Discovery of Longitude at Sea” with the story heavily accented on Harrison’s life after he finally left Barrow-upon-Humber around 1737. But by 1737 Harrison would have been 44 years old, a little over half way through his life. Many in the 18th century never even reached such an age. No one has asked some very simple questions. 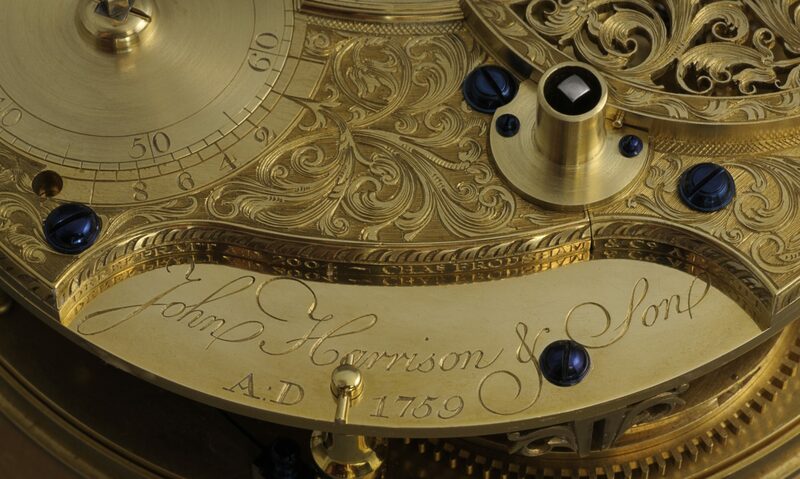 How was John Harrison involved in clock making in Barrow and, as he was most certainly not a full time clockmaker at this time, how else was he occupied with earning a living? This leads to the further question as to what sort of community was there in Barrow and the surrounding area early in the 18th century? To answer these questions Andrew has been trawling through Probate Inventories, Church Warden Accounts and, where possible, various estate papers. A picture is now gradually emerging to reveal a mixed community with an insight into the people and their lives. As will be explained, this is very much a ‘work in progress’. There is a lot more to be discovered by delving in the archives but already there is a considerable amount of information to add to John Harrison’s long life.